Coming off the high of a near-perfect first season Westworld decides to get weird for their sophomore season titled The Door. Obviously, one would expect some twists and turns to this already pretzeled plot, but for some folks out there, having multiple interchanging timelines, often featuring the same character appearing both in the past and present and future, the showrunners may be too cryptic and clever for their own good. It's still an engrossing, beautifully-executed show, but The Door is a notable step down in storyline quality from The Maze. Let's hope Season Three can correct course and bring this beast home. 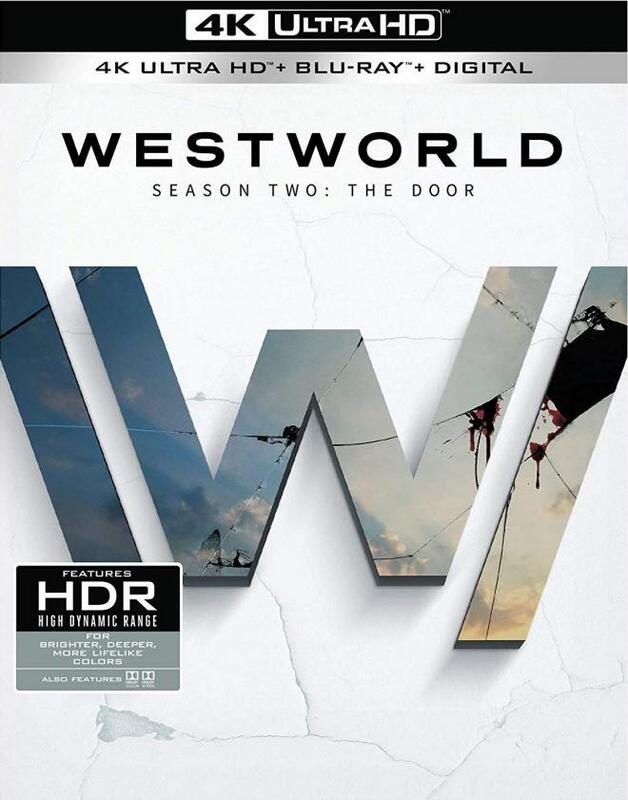 Warner Bros. gives Westworld: Season Two - The Door a strong 4K UHD treatment with a transfer that offers up notable improvements over the 1080p release with a beautiful Dolby Vision presentation and an excellent Dolby Atmos audio package. Bonus features are solid. If you loved this season and made it through the tangled story web, this 4K UHD Blu-ray offers the best possible presentation. Recommended. NEW Paved with the Best Intentions: The Evolution of the DELOS Corp. The dinosaurs have escaped the park and are killing the guests… wait, no, that's a different movie. 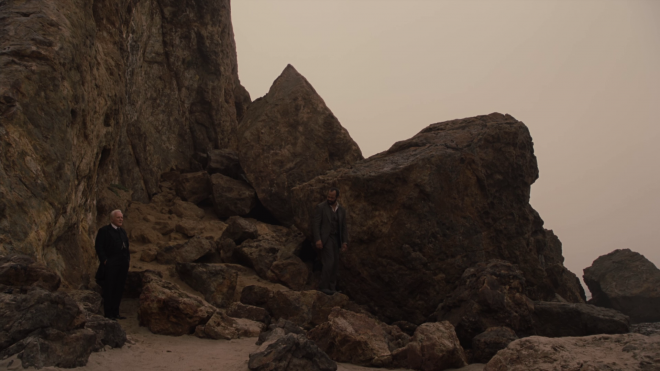 HBO's reinterpretation of Michael Crichton's western/sci-fi hybrid charts a tangled trail in its second season The Door. The episode opens with behavioral genius Bernard (Jeffrey Wright) attempting to understand and remember the horrific events that lead to the hosts going off their programming and killing the guests. Meanwhile, Dolores (Evan Rachel Wood) exacts brutal revenge on the guests while attempting to piece together parts of her various lives with Teddy (James Marsden) as they seek the seemingly mythical destination of the Great Valley Beyond with The Man in Black (Ed Harris) reveling in the new chaos. Within the Delos labs, Maeve (Thandie Newton) and Hector (Rodrigo Santoro) try to find Maeve's lost "daughter" and discover that their world may not be the only one. 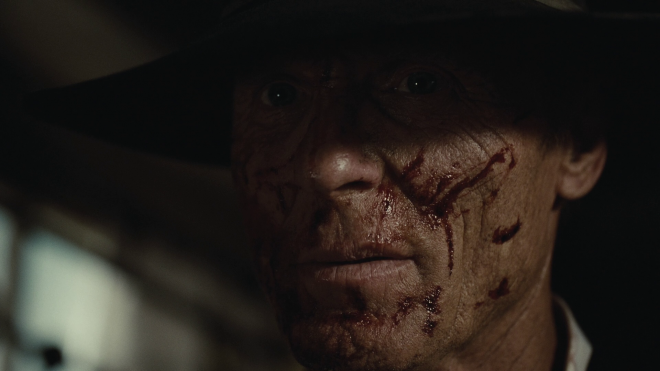 Considering everything that happened in Season One The Maze, Westworld had a lot of ground to cover with the second round. There were a dozen plot threads left dangling with allusions to other secrets and revelations yet to be explored. For all intents and purposes, The Door picks up all of these threads and exposes a grand assortment of new details. It's just how they did it that may be quite irksome to people. By the time I was able to start The Door, the season had been running for about four or five episodes. That whole time I heard nothing but how confusing everything was but then equally how cool the new "worlds" were. And yeah, it's confusing. Not so confusing that you can't keep pace, but when you look at everything the show reveals and how things come to cross for various characters, showrunners Jonathan Nolan and Lisa Joy made things unnecessarily twisted and convoluted. In any given episode there are as many as five different stories happening at different places in the past, present, and future - and for one character - all at the same time. The first time I watched through The Door, it didn't bother me, I felt like I found the groove of where things were going and who was where and when by the end of the first episode. After the season ended I felt satisfied, if maybe a little let down as it wasn't as exciting as I'd hoped, but was still eager to see what was next for Season Three. After watching this season for a second time I still think the storylines work, but the clunky convoluted method for unraveling the knotted plot bothered me more this time. I'd already gone behind the curtain and saw how the magician's trick worked. Seeing the show again knowing where it was going and how it got there left notably diminished returns. Looking ahead to Season Three - which apparently won't debut until 2020 - I hope the writers and showrunners make ample use of that time and sort out a clearer course forward. 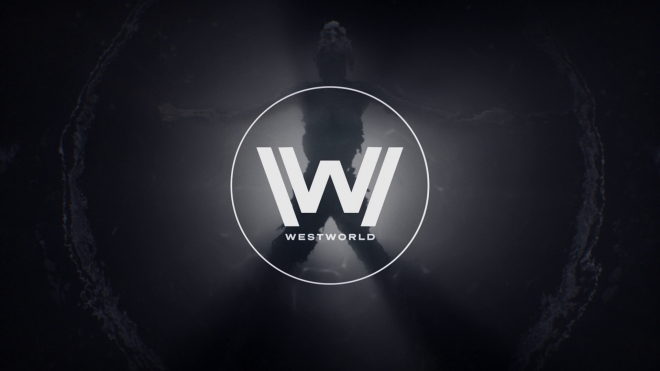 If they keep up with this tangled web structure with some more groan-worthy plot tricks with hosts dying and regenerating themselves multiple times - and in different bodies - Westworld risks drifting precariously close to the messy plotting that spoiled the later seasons of Lost. I don't want that for Westworld. As things stand, Westworld features one practically flawless first season with a clunky but still functional second season. It works. The story has a flow to it, but it's got a lot of gobbledygook stuffed in it to make things unnecessarily confusing just to appear clever. If you didn't make it through, give it another try, it does sort itself out - it just takes some time to get there. Westworld: Season Two - The Door rides onto 4K Ultra HD Blu-ray courtesy of Warner Bros. in a six-disc 4K UHD Blu-ray + Blu-ray + Digital set. Forgoing the slick and cool "Tin" case of the previous season, this round is housed in HBO's tried and true thick digi-book case that takes up way more shelf space than necessary. The discs load directly to animated main menus with traditional navigation options. All of the bonus features are found on Disc Three of the UHD and standard Blu-ray discs. Westworld: Season Two - The Door makes another beautiful run towards 4K UHD Blu-ray with a strong 2160p 1.78:1 transfer with Dolby Vision HDR. If you go back and read my standard Blu-ray review you can basically take all the positive notes I have about that transfer and dial it up to 11. Details, clothing, colors - they all look uniformly excellent. But just as tricky is the black levels which take on an almost too dark appearance. Facial features and clothing details get a big boost here. The show was shot on 35mm and finished on a 2K DI, so there isn't a massive leap in quality from Blu-ray to 4K, however, small details do get their moment in the sun. Beads of sweat, laugh lines in faces, beard hairs, stray clothing threads — all of them are exquisite. Makeup for the Native American hosts and some of the Japanese samurai host costumes are wonderful offering a notable uptick in clarity. Heavy CGI scenes still have a bit of a flatness to them and some effects aren't as cleanly rendered and stand out much more with the added resolution. Colors and contrast enjoy a nice range of improvements, courtesy of Dolby Vision. All of the heavy blue and red primaries within the laboratories are just as impactful. Blood is an especially strong crimson red color. Blue skies of the park are pristine. Improved contrast also allows for bright and crisp whites without troublesome blooming. Given the nature of the show anytime someone in a white shirt is shot, that crimson red on white is impressive and an impromptu autopsy of a host is particularly gnarly. Black levels remain a bit of a sticking point for the transfer. Where the 1080p SDR transfer felt too bright, the 4K Dolby Vision almost feels too dark. There are several sequences throughout the show with dim single-source lighting - a scene in a barn in the first episode is a prime example - where the SDR presentation offered up a little more light to make out some more details. Some dark scenes in 4K Dolby Vision looked much thicker almost to the point of crush. While overall the 4K UHD Blu-ray transfer offers many clear improvements over the 1080p Blu-ray, the occasionally problematic black levels keep this one from being a truly ideal presentation of a beautiful show. Still, this show remains magnificent screen candy. Westworld: Season Two - The Door opens the floodgates with a very active and immersive Dolby Atmos mix. Thankfully, unlike other recent Warner Bros. releases, this is the only audio track available so you don't have to go through the hassle of entering the main menu and selecting it! That said, if you're not Atmos-ready, it defaults to Dolby TrueHD 7.1. 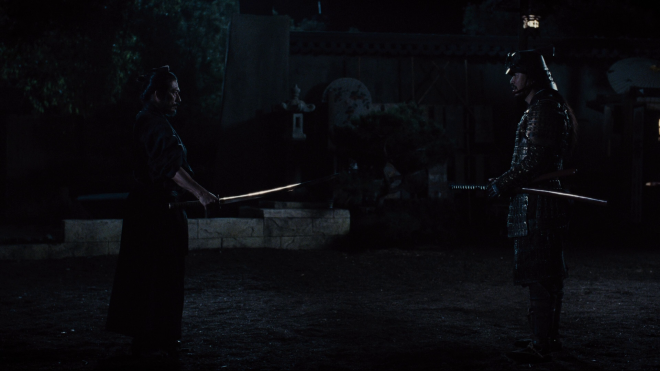 Dialogue is crystal clear and comes through perfectly - even against the smorgasbord of sound elements like gunfire, screams of pain, explosions, roaring engines, and Ramin Djawadi's excellent score. There is some terrific sound work in play allowing for faint distinct sound effects to populate the soundscape keeping surrounds active. There are several examples I could cite - the scene with the survivors in the barn in the first episode is a great example - where there is action happening outside of the room we're seeing. There could be voices, screams, gunshots - all of the above - and they're given distinct placement in the surround field that you can hear them, but they don't interfere with the conversation of the scene in question. Vertical activity is somewhat restrained depending on location, but the extra channel space offers up some great atmosphere. Tight indoor locations have a wonderful echoing quality while outdoor scenic vistas offer up a terrific soundscape with the wind rustling through leaves and blades of grass as horse hooves gallop across the lands. Once again, it's another winning Atmos mix from HBO. 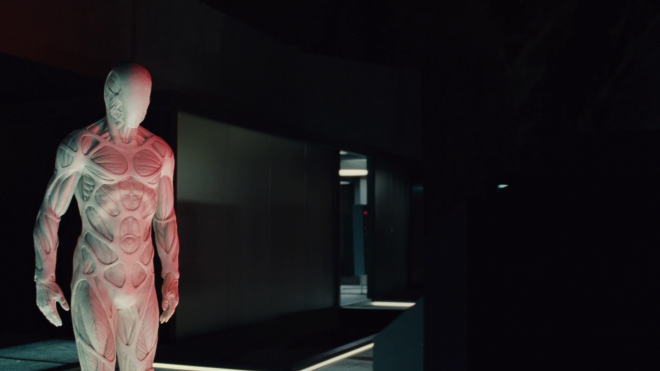 Bonus features for Westworld: Season Two - The Door may not be the most robust, but you're given most of two hours worth of great behind the scenes content. A lot of it can drift into the talking head EPK stuff, but overall there is a lot of great information here. The best stuff covers the creation of new areas of the park like Shogun World - as that was the most exciting part of the season the bonus features give it its due. Depending on who you ask, Westworld: Season Two - The Door was either a bold continuation of a terrific show or an epic confusing fail. I enjoyed it myself the first time through, but my second viewing made its clunky storytelling shortfalls all the more obvious. You can chalk me up as a defender but I hope the showrunners have a clear plan forward for when the series returns in 2020. Warner Bros. brings Westworld: Season Two - The Door to 4K UHD Blu-ray with a beautiful if slightly flawed 4K transfer with Dolby Vision HDR and an excellent Atmos audio track. Bonus features may not have been the most exciting but they're still informative and worth looking at. Devoted series fans and 4K / Dolby Atmos enthusiasts will absolutely want to pick this up. Those unsure or less impressed may want to wait and see what Season Three has to offer. Recommended.